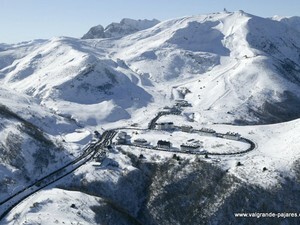 Is it snowing in Valgrande-Pajares ?ありがとうございました! 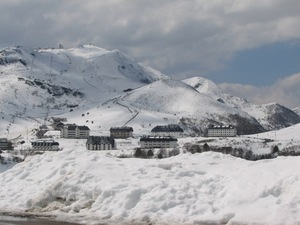 Valgrande-Pajares, is one of the oldest ski resorts in Spain. It has been operating since 1954 and was founded by Chus Valgrande. 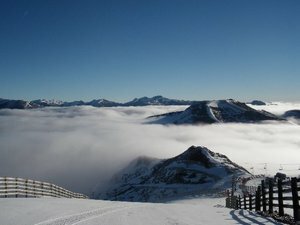 It is a large resort with 9 lifts (5 chair lifts, 4 surface lifts) that offers skiers 500 metres (1640 feet) of vertical descent. 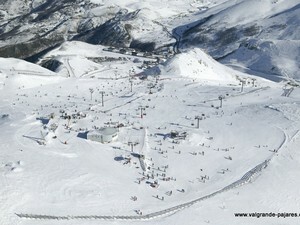 Valgrande-Pajares has acres of terrain over 32 pistes. 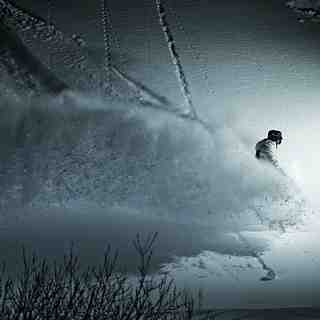 Is best suited to beginner skiers and snowboarders but there is some terrain for both expert and intermediates. There are 7 kilometers (4.4 miles) of cross country ski trails at Valgrande-Pajares. For snowboarders, there is a terrain park. 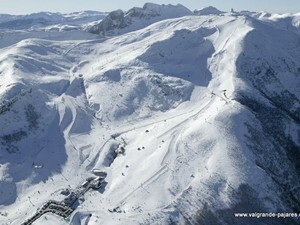 The nearest airport is at Asturias and the nearest train station to Valgrande-Pajares is at Busdongo. La temporada 2012-2013 comenzará el próximo Jueves 6 de Diciembre de 2012. Lo mejor. He leído que las webcam no funciona pero yo siempre las veo abiertas. Muy buen ambiente. Buenas pistas. Arriba hay una cafetería que está genial con unos bocatas inigualables.